Almost two years ago, I introduced you to one of my childhood homes. I squashed some misconceptions about the island of Guam. It remains the most popular post on my blog, The World is a Book. Whether Guam is on your radar or not, this makes for a fun read to see just how different this little island is from the rest of the world. For those who have visited or are from Guam, this post should bring a smile to your face or stir up memories. Here are some interesting things about Guam or for something more appropriate for social media – #OnlyOnGuam. Let’s start with location again. Guam is located in the Mariana Islands. It’s easier to calculate distances as flight times versus miles and kilometers. Flight times from Japan, Taiwan and Manila are between 3.5-4 hours and Honolulu, Hawaii is about 7 hours. It is located west of the International Dateline. Since it’s a United States territory and the first American soil to welcome a new day, it has widely adopted the slogan of ‘Where’s America’s Day Begins.” It is 14 hours ahead than the USA’s east coast. On that note, my friends and family do get to see many movie premieres way before the rest of us. Like many places, one of the first things to learn is saying “Hello.” Guam’s version is derived from its local Chamorro culture and language. While English is the main language spoken (that still comes as a surprise to many people), Chamorro was the indigenous people’s language. Say Hafa adai (pronounced Ha-fa-day) when in Guam or greeting anyone who has ever lived or visited Guam. You’ll hear the phrase everywhere around the island. 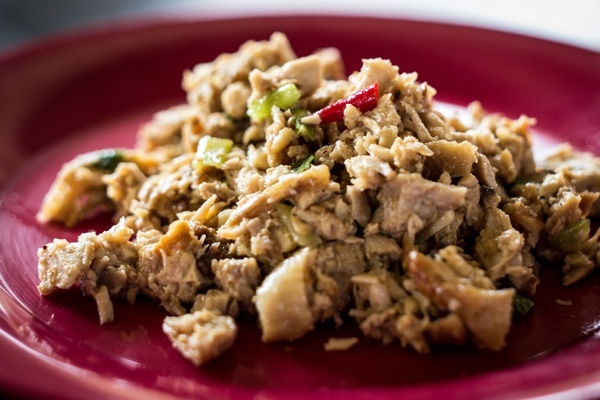 Guam cuisine has evolved over the years to reflect its diversity. It has become a mixture of American, Filipino and other Asian cultures. Though, rice remains the main staple food. But, we prefer our rice with some color. Achiote/annatto seeds are used to give it a unique flavor and that reddish orange color. Barbecued meats is a norm especially pork spare ribs and chicken. Meats are usually marinated in vinegar, soy sauce, garlic and onion. Though, many people also have their own versions of marinating that can include beer to soda and other secret ingredients. There is also an affinity for pickled and sour items soaked in vinegar and soy sauce. 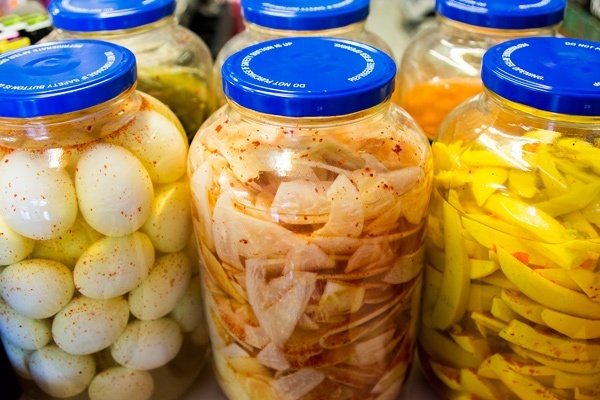 Pickled mango, papaya, cucumber, radish, egg and even pearl onions are commonly found on many household and sold at mom and pop stores around the island. The pickled mangoes and papayas are especially addicting. SPAM (canned salted pork with ham) is also a common and favorite island food. 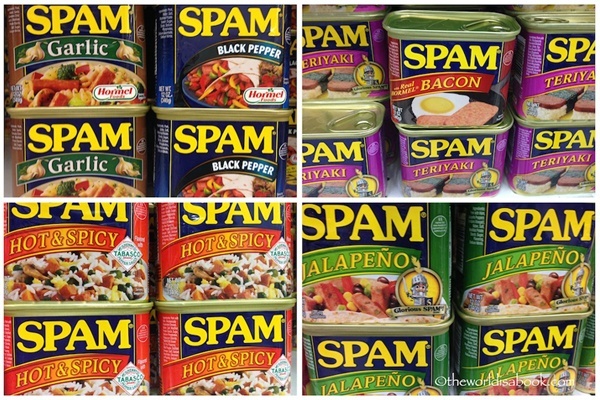 Common enough for TIME Magazine to report that Guam was the world’s leading consumer per capita of SPAM – 16 cans per person annually. I think it has battled Hawaii over the years for SPAM capital of the world. I shouldn’t have been surprised to see so many different flavors of SPAM on store shelves that included garlic or teriyaki. Guam celebrates big with its village feasts or fiestas. Those interesting local foods previously mentioned are present at all celebrations. There are 19 villages that comprise the whole island. I know that makes it sound primitive but it really isn’t. The houses are all modern with running water, toilets, electricity, etc. They are mostly concrete to withstand earthquakes and typhoon conditions. There seems to be village fiestas every month to celebrate their patron saints. In addition to those fiestas, there are also festivals. My own village celebrates an annual mango festival. There’s a fisherman’s festival and even an annual BBQ block party in July. You may have noticed by now that the locals find almost any excuse to party and barbecue. 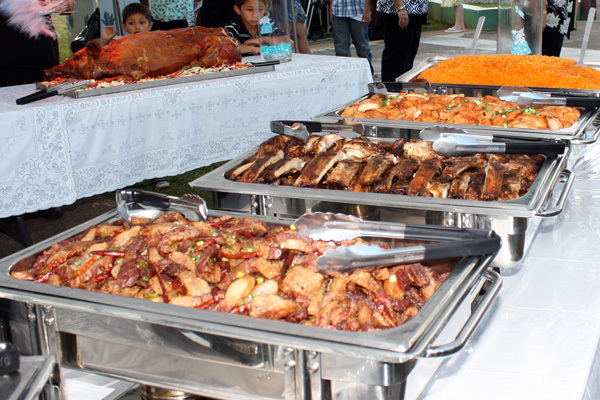 If you happen to pass by a party, don’t be surprised if you’re invited, ushered in and handed a plate. An embracing culture and the warm hospitality are some of the many things I miss about Guam. 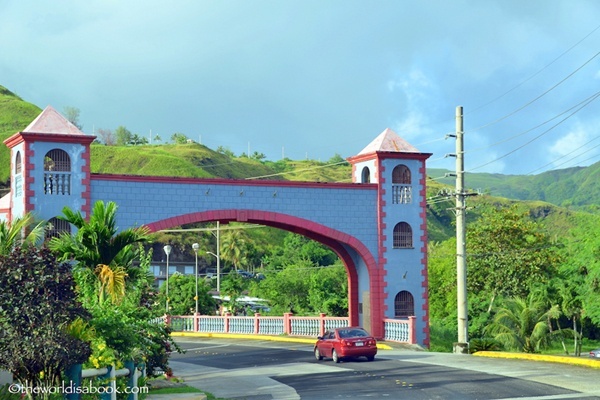 The biggest annual, islandwide celebration is Liberation Day on July 21. The United States freed Guam from several years of Japanese occupation during World War II on July 21, 1944. Guam is still an unincorporated United States territory granting its people U.S. citizenships and a non-voting delegate in congress. This islandwide event includes a parade, a multi-day carnival, ceremonies and plenty of home parties and barbecues. Former Guam residents, no matter where they are in the world, also celebrate this day. It’s a great way to gather friends and family and eat all the delicious and homemade island food. 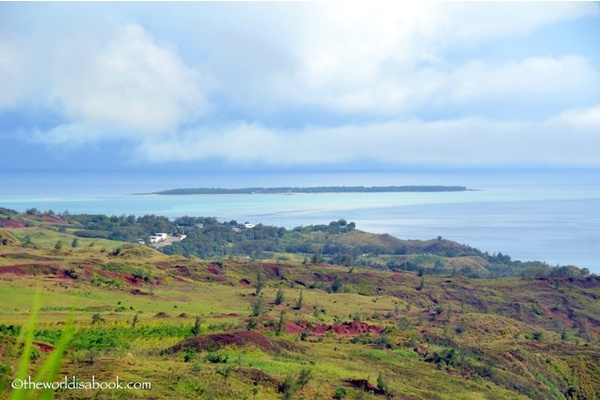 Guam’s heat and humidity can be pretty intense depending on the time of the year. It might be surprising to know that cold sodas or water bottles aren’t the go-to beverage for the locals. A cold King Car Lemon Tea can or bottle is the top choice. I believe this is originally from Taiwan. I’ve never been a fan but my kids love them. Other top choices are Mr. Brown’s Iced Coffee and Assam Black or Assam Strawberry Milk Tea. Hawaiians may have their own version of a fruity Hawaiian punch but Guam has their version called Chamorro Punch. I find this sweeter than a regular fruit punch. It can be ordered at some fast food establishments. Beer is also a staple at parties. We even found a Guam Beer. 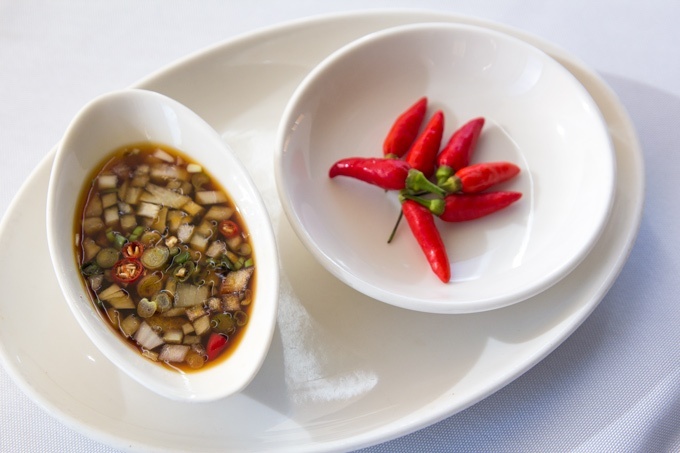 Finadene (pronounced Fee-na-de-nee) is a concoction of vinegar, soy sauce, lemon and/or onions is present at every meal and party. I grew up with this and I still can’t eat most barbecued meat or mangoes without it. Who knew something so simple could be so addictive? We put this on everything – rice, mango, papaya and all many other fruits and cooked items. It completes every meal and every party plate. Cha cha is the Dance. Those island celebrations and parties usually include a dance floor where partygoers can do the electric slide and the island’s unofficial dance of the cha cha. Yes, it’s similar to the ballroom cha cha. It’s almost sacrilegious if you come from Guam and not know this dance. These dances are usually danced to specific songs and some with reggae tunes. I love this particular mix medley. It reminds me of all those fun parties and school dances. This is guaranteed to evoke some wonderful memories if you’ve ever lived in Guam in the ’80s and ’90s. Growing up, we were told of several legends that have stayed with us for years. 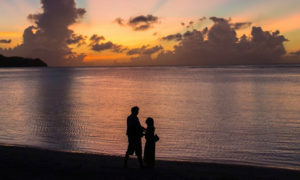 Guam’s most popular tourist attraction is Two Lover’s Point. This park and lookout point was based on the legend of two young, star-crossed lovers who tied their hair and jumped from this cliff. There were legends of mermaids, coconuts and even the water buffalo or carabaos. We have also been told repeatedly to be careful of the Taotaomo’na (pronounced tao-tao-mo-na). These are the “ancestral spirits” or the ancient people’s ghosts. 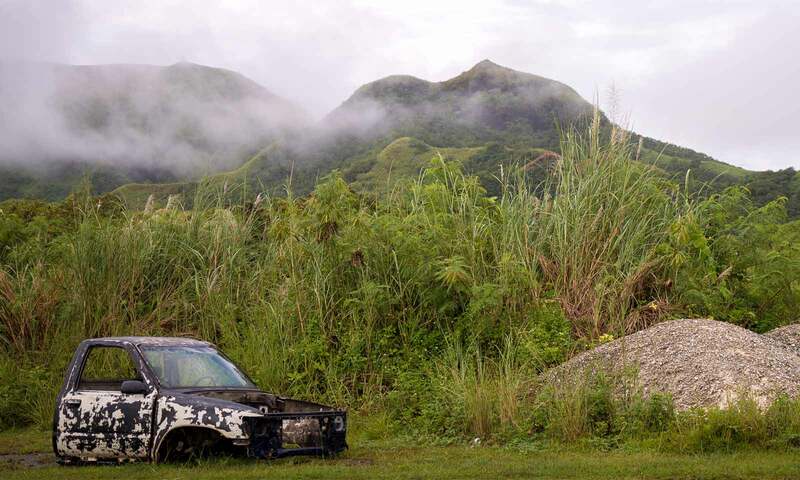 Ancient Chamorros believed the world around them was full of spirits who provided guidance and protection. These spirits took the forms of humans or animals when they wanted to interact with living creatures. The human form is believed to be a strong and large person who could sometimes be headless. They lived in the jungles. 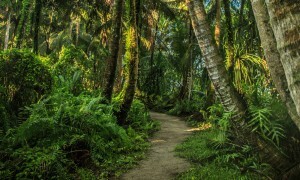 It is advisable to ask permission to pass through when entering the jungle from these spirits. Bad consequences may result like unexplained scratches, illness, bruises, etc. One architectural element very unique to Guam and the neighboring islands is called latte stones. Nope, this has nothing to do with coffee. 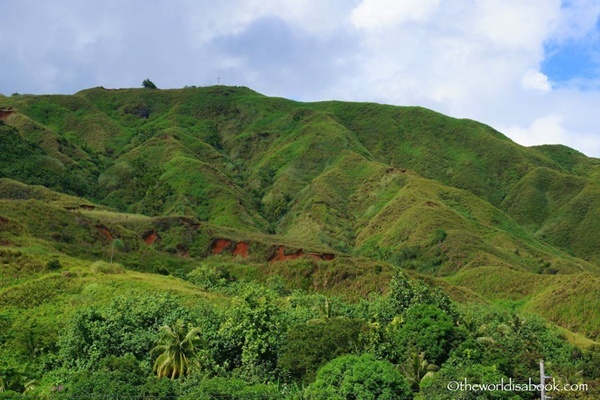 The ancient Chamorros created lattes used for foundations to homes and sacred places. The two separate pieces of a pillar and a mounted capstone were made of limestone or basalt rocks. 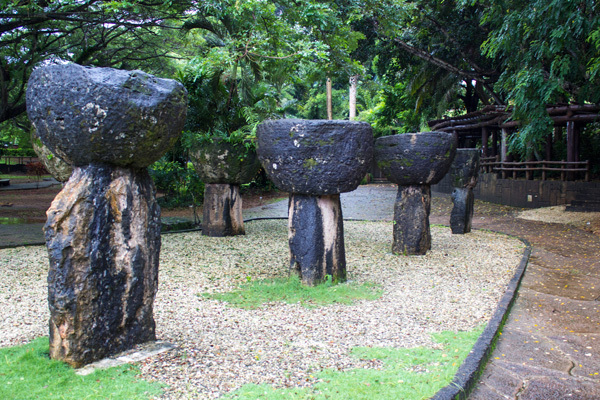 The latte stones have become Guam’s symbol. 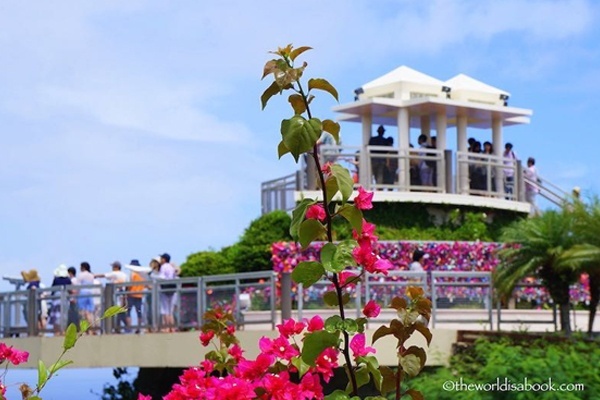 There’s even an 80-foot observation point called Latte of Freedom to symbolize the island’s culture and heritage. Guam is 32 miles long and at the most 8 miles wide. There is one main road that goes around the island though there are also many other side roads. So, you can’t really get lost. Landmarks and buildings are generally used for directions. I didn’t know my street name or even my friends’ addresses growing up. We got our mail at a central post office with designated P.O. Boxes. We’ve always joked that if a coconut or mango tree got chopped or blown away by a typhoon or a house/building got demolished or repainted, many of us would be in trouble finding some places. Old habits die hard. It was frustrating for my husband to drive and listen to me give directions the old-fashioned way during our last visit. Religion is deeply rooted in the culture, people and customs. About 85% of the population is Catholic. Holy Week leading to Easter has always been when kids are off school for Spring Break. How many other places do you know observe All Souls Day and the Feast of the Immaculate Conception on December 8th as public government holidays? December 8th is also when the Santa Maria Kamalen, Guam’s patron saint, is honored with thousands of people attending a rosary and procession. It’s no surprise with its Catholicism that islanders gather to hike and climb the top of Mt. Jumullong (pronounced Hu-mu-yong) Manglo every Good Friday. This hike to the over 1,200-foot summit involves stopping and praying the Station of the Cross along the 14 white crosses on the trail. There is also a procession where a team of people carries a heavy, wooden cross to the top to reenact Jesus’ sacrifice and carrying of the cross. Many crosses, from years past, adorn the mountaintop. Understandably, flip-flops or thong sandals are pretty common footwear on the island and especially the beach. The more common term for these though is slippers or zories in Guam. There’s nothing different about them. Sure, the islanders will understand what you mean but start off on the right foot by knowing this word if you’re visiting. It’s also called zories in Japan. 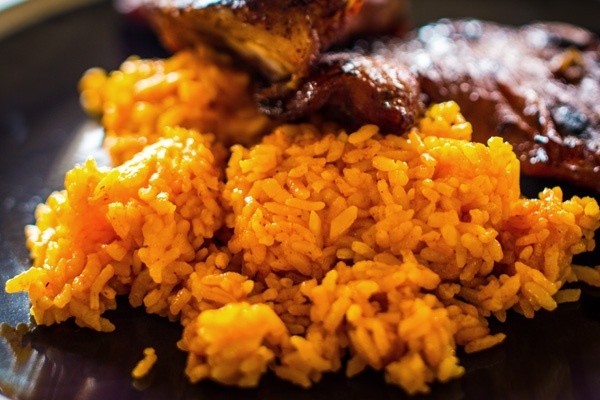 If you want to see and experience a weekly island festival with some of the best local food around, then head to the Chamorro Village for the Wednesday Night Market. There are many vendors selling many arts, crafts and souvenirs. But, the main draw is the variety of delicious food. The aroma of the barbecued items is enticing. There is also entertainment and cultural performances. 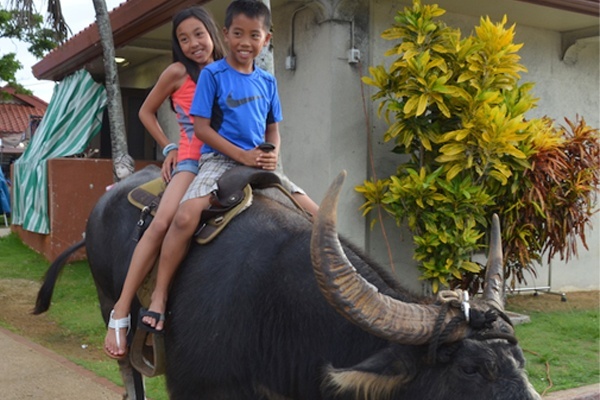 Visitors can even go on carabao rides here. These docile creatures are still used by some for farming. 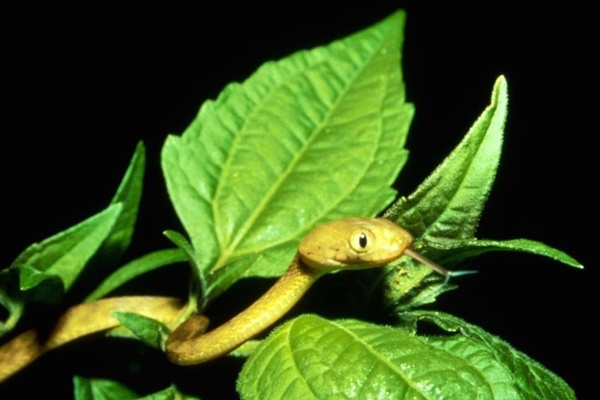 Thanks to some news outlets, many people have a vision of Guam as an island infested with brown tree snakes at every corner. 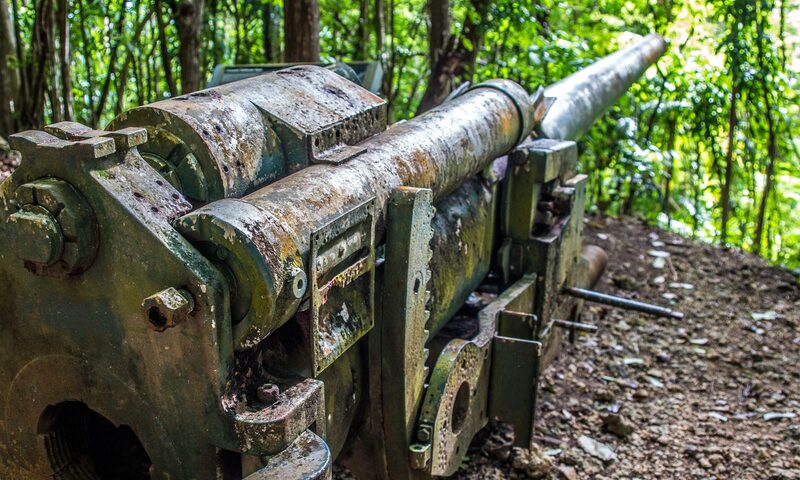 The snakes were believed to have snuck into Guam on some ships during World War II. This was a native snake found in Australia and Papua New Guinea. Unfortunately, the snakes thrived while on the island with the number of prey available to them. Their presence has wiped out some bird and lizard species including ones endemic to Guam. On some occasions, the snakes have also caused power outages by crawling on electrical lines. There is abundance but they’re not generally found in residences or heavily populated areas. They thrive in the jungles and generally come out at night. Chances are you won’t see one during a visit. I’ve seen less than a handful all those years living there. The island’s territorial bird is the Guam Rail or ko’ko’ bird. This is a flightless bird with a brown head, short wings and gray bill bird was once widespread in Guam. But, it was on the verge of extinction due mainly to the brown tree snakes. The one and only ko’ko’ bird I’ve seen was in San Diego Zoo. I’m hoping it’s still there. It’s also in a few other zoos across the U.S. There are various continuous conservation efforts to save the ko’ko for the past 20 years. 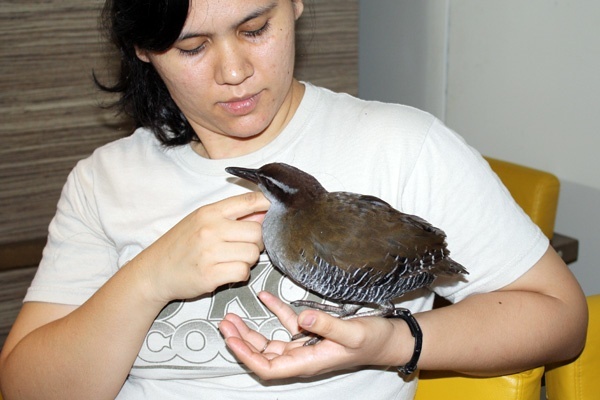 Some birds have been released into the wild on Cocos Island which is a resort island a few miles off Guam as well as the neighboring island of Rota. It is the hopeful that they continue to successfully reproduce safe from the predators at these locations to preserve their species. 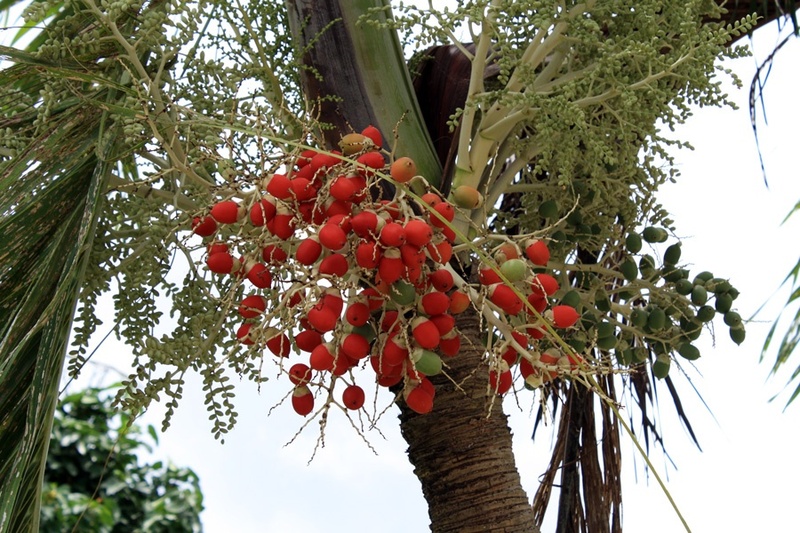 Some islanders chew these hard, red, palm nuts or betel nut from the areca tree (type of palm tree). It is commonly called pugua and chewing it has been a custom passed on for generations. It’s also a common practice in other Pacific islands and Southeast Asia. The nuts are sliced and chewed like gum or wrapped in pepper leaf and coated with lime. Chewing it leaves teeth with red stains. Various organizations are increasing awareness on the health risks involve with betel nut chewing like oral cancer and tooth decay. 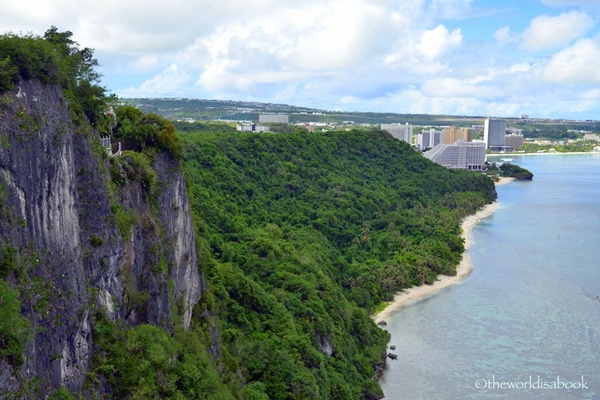 With its tropical climate, clear waters, world-class hotels, great tax-free shopping and endless activities, Guam is a major tourist destination around the Southeast Asia region. It is the epitome of a resort island. Tourism has been the main industry for years. 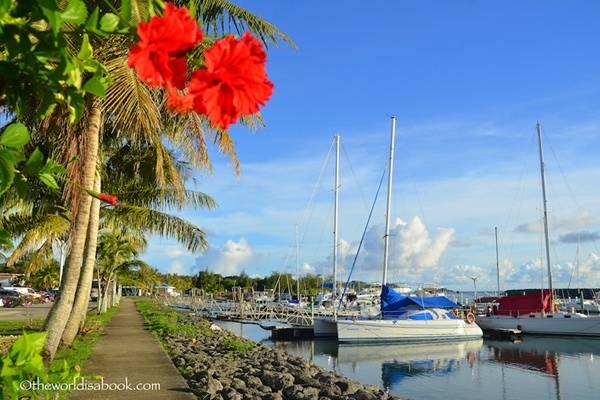 According to Guam Visitor’s Bureau, the island welcomed over 1.4 million visitors in 2015. Most of them have always been Japanese on a 3-4 day trip. Over the years, there has been an influx of Chinese, South Koreans and Russians. The Russians were granted a federal visa waiver to visit Guam and there were thousands who visited a couple of years ago, though their numbers have dwindled over the last year due to their weak currency. While Kmart may not be as popular anymore in the mainland USA, it’s still the place for locals and tourists to shop on the island. Guam’s shopping scene of duty-free shops and high-end stores is one of its attractions but Kmart still has the best-valued items. This was once advertised as the biggest Kmart in the world. This store is actually open 24 hours and the last time we were there at 10 p.m., it was crowded with mostly tourists. It’s also my favorite place to buy souvenirs! Due to its strategic location in the Pacific, the United States military presence has always been huge on the island. The military has a quarter of Guam’s land with its Naval and Air Force bases. Though, there is a build-up of about 4,800 Marines plus their families moving here within the next few years. Many of Guam’s sons and daughters are veterans and active military including many of my family and friends. 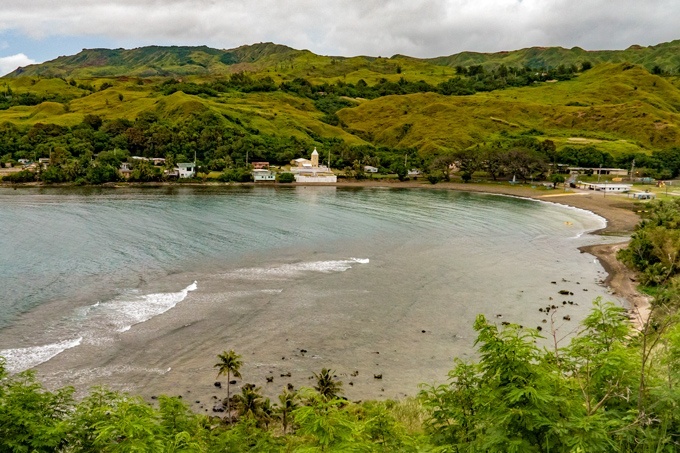 If these interesting things about Guam have piqued your interest about the island, its people and culture, these are a couple of annual festivals in Southern California worth attending if you’re in the area. It’s a great way to sample some food and experience the culture. ThePacific Islander Festival in September is a great way to learn about many of the other islands’ cultures. Our favorite is the Chamorro Cultural Fest in March. If you’re near any of these cities, you can visit one of these restaurants that serve Guam food.